We named Google Glass our best mobile product of 2013 because of the game-changing potential, but not everyone agrees. There is a growing movement that firmly opposes it. What is it about Google Glass that has businesses pre-emptively banning it, an anti-surveillance group campaigning against it, and even a software subscription service called Anti-Glass? 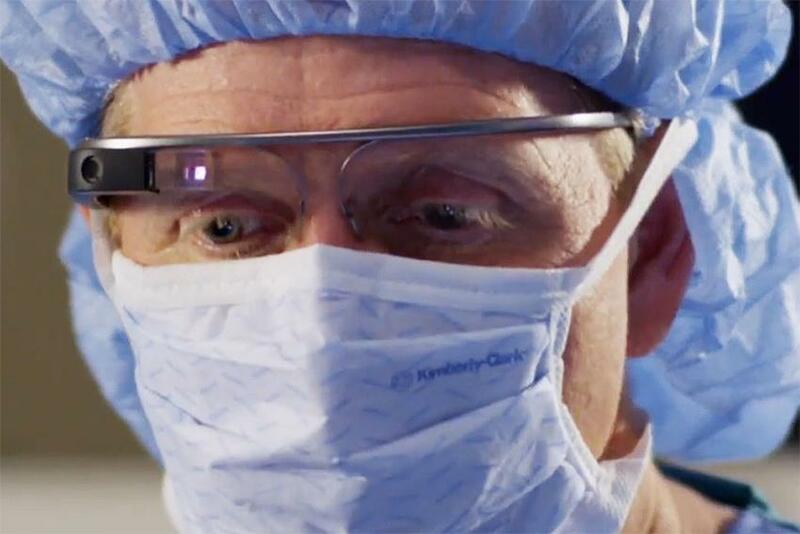 What Glass is: Currently only available in prototype form, Google Glass costs $1,500 for early adopters. You wear it like a pair of glasses and there’s a small glass prism that sits over your right eye, allowing you to glance up to see a 640×360 pixel color display that’s translucent. It’s designed to be tethered to your smartphone. You can use voice controls to record video, take photos, perform Web searches, get directions, make video calls, and thanks to app support, it can do new things every day. There’s a Stop the Cyborgs campaign online that is encouraging businesses to ban Google Glass over concerns about surveillance and invasion of privacy. Japanese researchers have even developed “Anti-Glass” glasses that use infrared LEDs to prevent you from being identified. There have also been moves to ban driving with Google Glass, a clash with a Glass-wearing customer in a Seattle cafe, and a host of other Google Glass bans. All of these bans are focused on the fact that Google Glass has a camera built-in, and for the most part they’re the same bans that have been applied to smartphones, or any other recording equipment. It is the potentially surreptitious nature of Glass recording that seems to generate most concern. The fact that people may not be able to determine when they are being recorded or scanned is a real issue. The Anti-Glass service is designed to prevent people from being able to identify you using Google Glass. “It’s a set of proprietary algorithms that our engineers put together, essentially what it does is, it works much like a radar jamming device,” says Schiffer. Schiffer’s Reputation Management consultancy claims to protect the privacy of top CEOs, celebrities, and rock stars. This is achieved in various ways including by “suppressing negative search listings” according to the website. Now for “anywhere from $3,000 to $15,000 for a year” clients can enjoy anonymity in the face of Google Glass wearers. “The people we want to protect are women, children and people who want their privacy,” says Schiffer, and he cites a worrying scenario where a predator might use Google Glass to identify a woman, access her online data, and use it to gain her trust. It’s hard not to be reminded of the short film Sight: Contact Lenses with Augmented Reality. In fact there are already cloud-based services like ReKognition and the NameTag app. Other companies like Lambda Labs are also working on solutions. That’s before you consider the possibility of developers deliberately side-stepping Google’s policies. There are a lot of different issues at play here and people have a right to their privacy, but there are also a few things worth keeping in mind. Google Glass really can’t do anything that existing smartphones can’t do. Cheap spy cameras that can secretly record are already freely available. Facial recognition software that identifies you and pulls up online information is already out there, and can access public profiles and freely available data. These privacy concerns also seem to laser focus on a single issue and ignore the potential good that Glass might deliver. It’s already being trialed by doctors, police officers, and even Virgin Atlantic’s airport check-in staff. There’s definitely room for a device like this to assist professionals and create a better experience for all of us. There’s also something to be said for the ability to record video and shoot snaps hands-free. It’s easy to shrug off these issues as barriers to the advancement of technology, but no one really wants to be recorded without their permission. If you imagine someone sitting in a bar holding their smartphone up and pointing it at you, it’s not hard to see how it might make you feel uncomfortable or even angry. Right or wrong this is how some people feel about Google Glass right now.